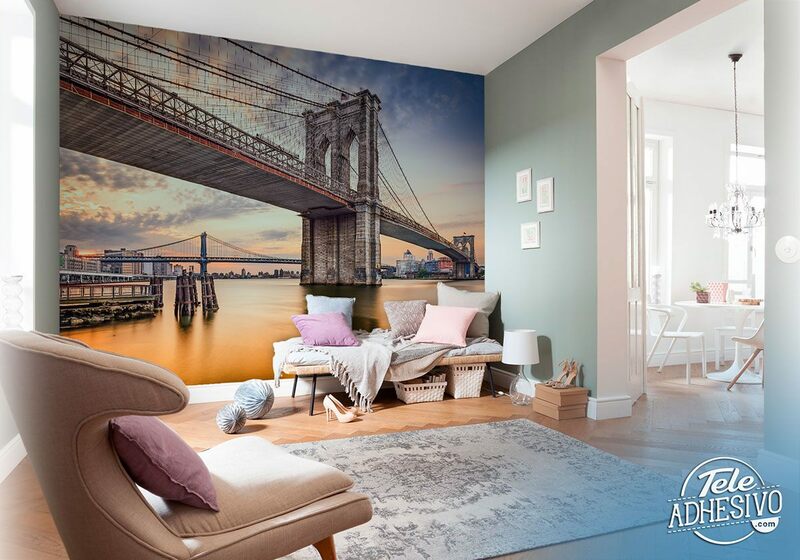 Wall mural New York Bridges. 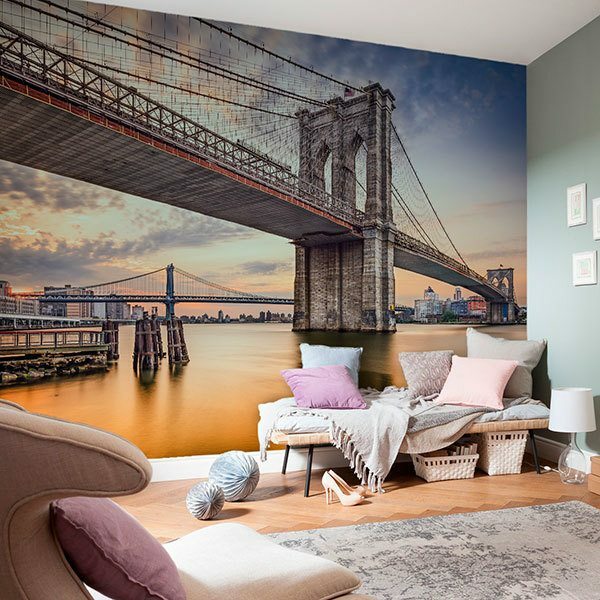 Magnificent view of the Brooklyn Bridge in the foreground and the Manhattan Bridge in the background, with intense orange water and sky due to the sunset. 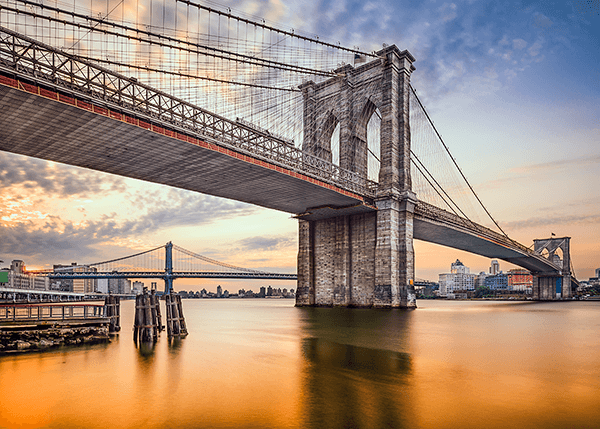 Both bridges connect the Manhattan Peninsula with the historic Brooklyn neighborhood.